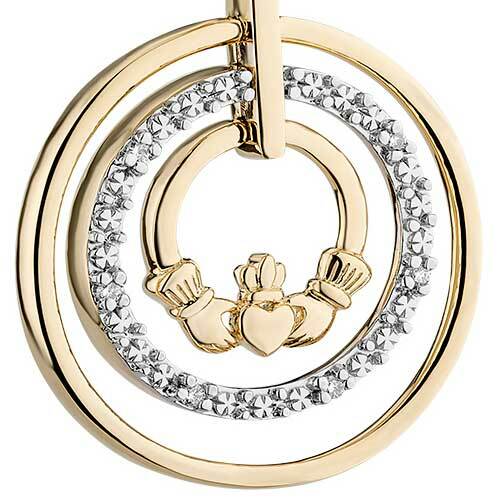 Claddagh pendant dangles in the center of a diamond accented white gold circle that nests inside of an additional 10K gold circle. 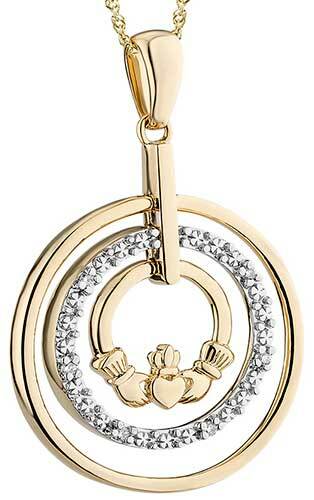 This 10K gold Claddagh necklace features an engraved, diamond accented, white gold circle along with a yellow gold outer circle. The diamond Claddagh necklace measures 3/4” wide x 1 1/8" tall, including the jump ring and the chain bail, and it includes an 18" long 10K yellow gold chain. Claddagh earrings dangle in the center of diamond accented white gold circles. 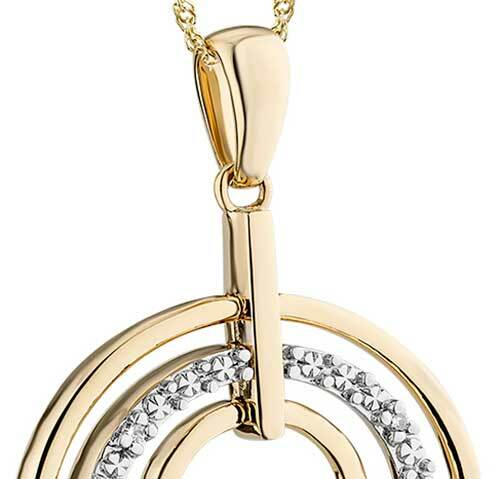 Claddagh necklace dangles in the center of a diamond studded white gold circle that nests inside of an additional 14K gold circle.